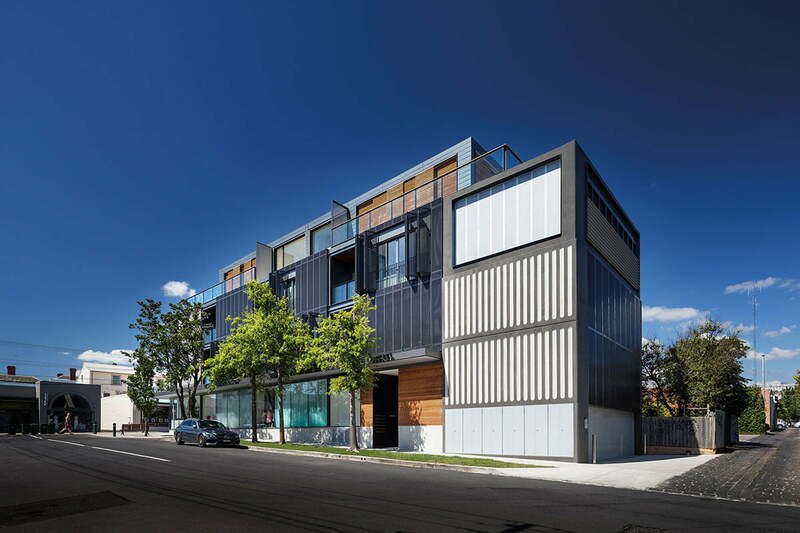 With eleven apartments, a generous retail space and car-stacker, rigorous planning has facilitated modest sized apartments with exceptional amenity. 1152 High Street Armadale is a 4 storey high, mixed use development comprising ground floor retail with 3 residential floors above and a 3 level mechanical stacker system parking garage at the rear. 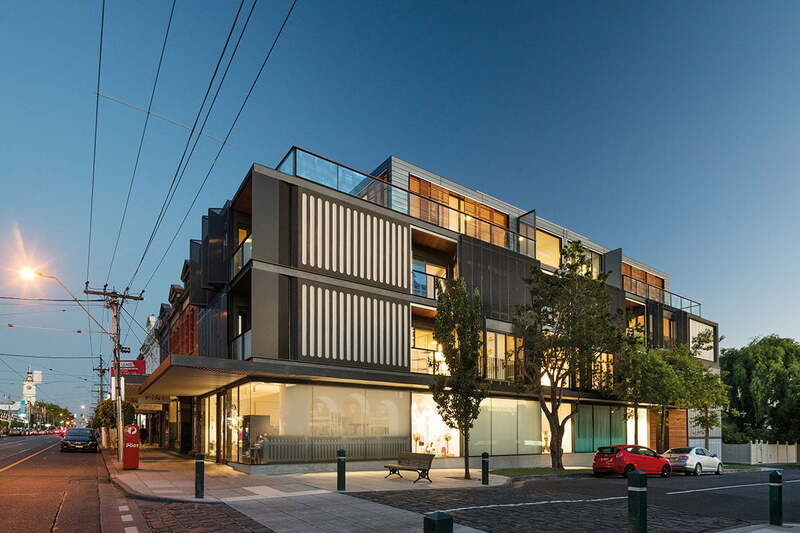 This project occupies a corner site with the long side facing west onto Seymour Avenue, the short side facing north onto the busy High Street shopping strip. Our four level proposal challenged the planning provisions of the area but prevailed unscathed through VCAT, despite around 200 community objections. 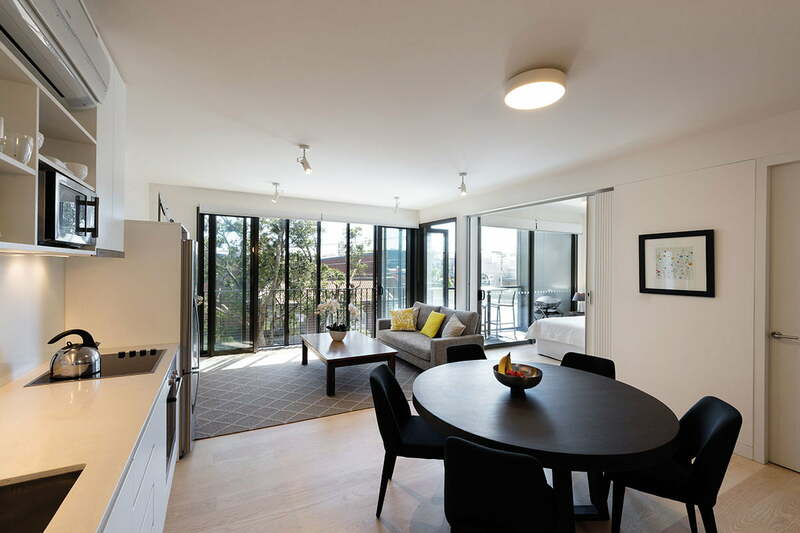 As it turns out, quality single bedroom apartments with good amenity are in short supply in traditional, family oriented neighbourhoods of this type. 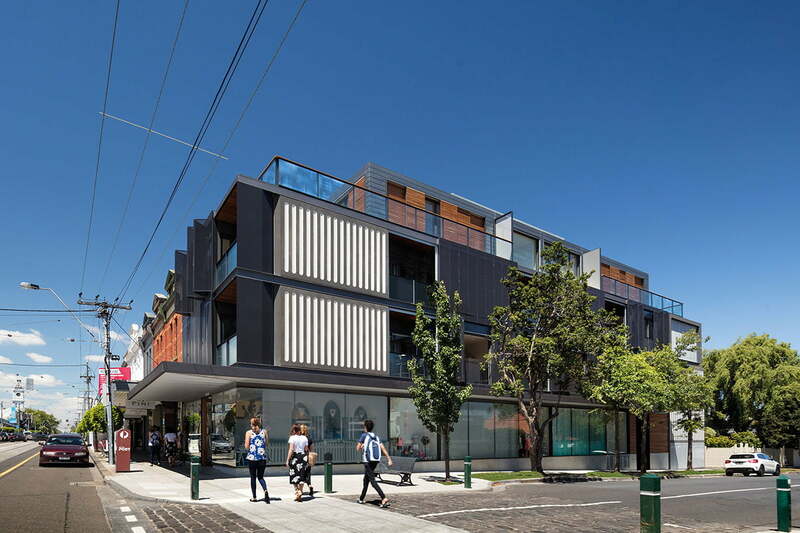 Ground floor retail space was maximised and is entered from High Street, the apartments are entered from Seymour Avenue and the vertical car stacker is entered from the rear laneway. There are four apartments on the first floor, five on the second floor, and two on the top floor. All apartments except one have a single bedroom (based on a standard unit plan of 42m2), whilst the northern apartment on the top floor has a second bedroom and a large deck overlooking the city skyline. 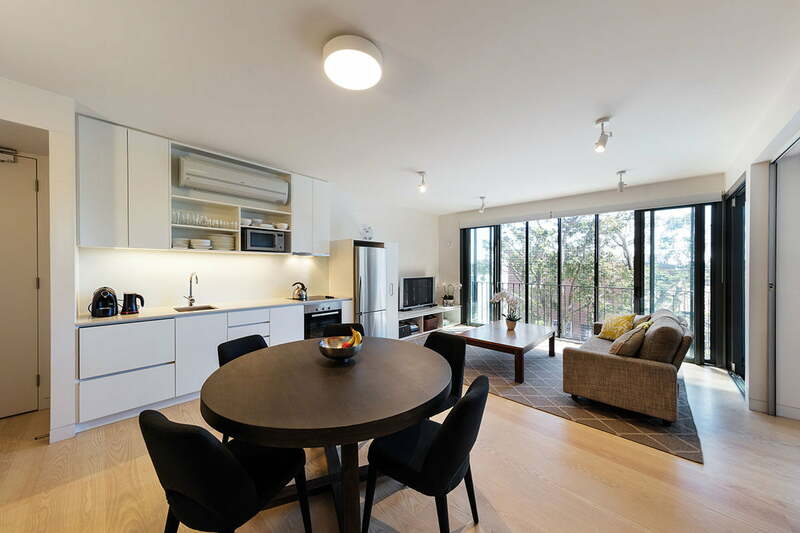 Whilst the typical apartment is small, rigorous planning has facilitated high amenity. 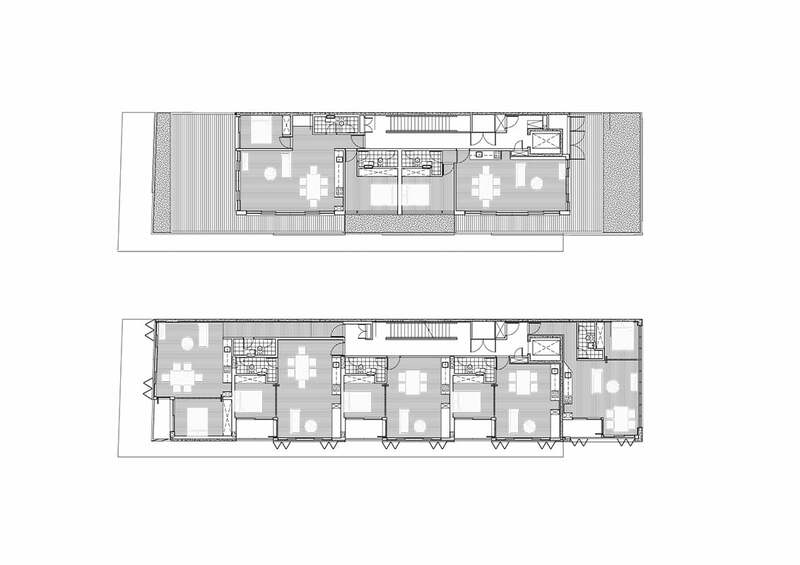 They have 5m2 balconies to the north, accessed from both bedroom and living areas, and a retractable wall to the bedroom (adding additional visual and useable space of the living area), and a compact bathroom/laundry. The exposed western aspect presented a significant challenge but became an opportunity to layer the façade, providing visual depth to the skin of the building along with additional control of privacy. The balconies have motorised perforated screens, whilst the living areas have perforated bi-fold screens outside, triple glass slider doors inside and an open steel balustrade in-between. 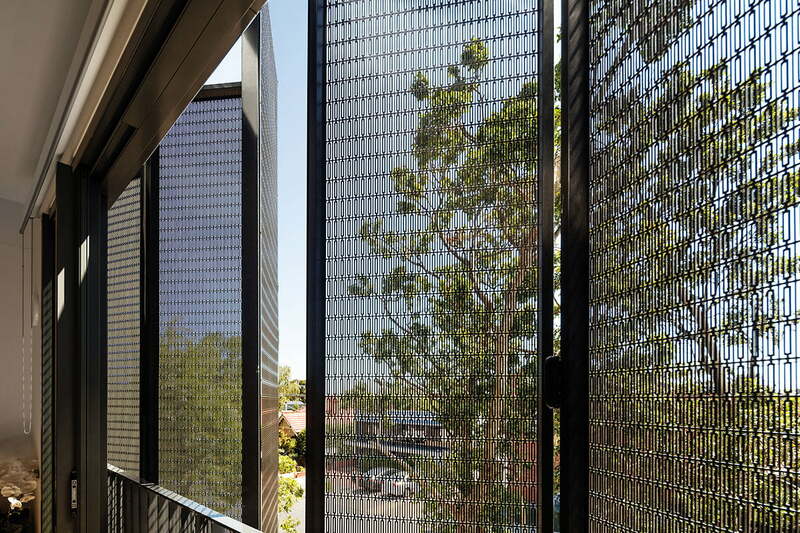 The 50% perforated shading screens are of minimal obstruction to the outward view whilst giving an intimate sense of containment internally. All AC condenser units are gathered on the roof behind a visual and acoustic protection enclosure, keeping the balconies clear, quiet and cool. Explores delicate control of circulation in curating series of visual thresholds that interact and entice occupants to transverse within spaces. Housing bins, bikes, garden supplies and an air conditioning unit, this mirror clad shed visually dissolves, whilst intriguing and confounding the viewer from the street. A residential care facility a range of disenfranchised and vulnerable people. A simple spatial concept unites four different uses of one small room; a cupboard, a passage, a laundry, a bathroom. 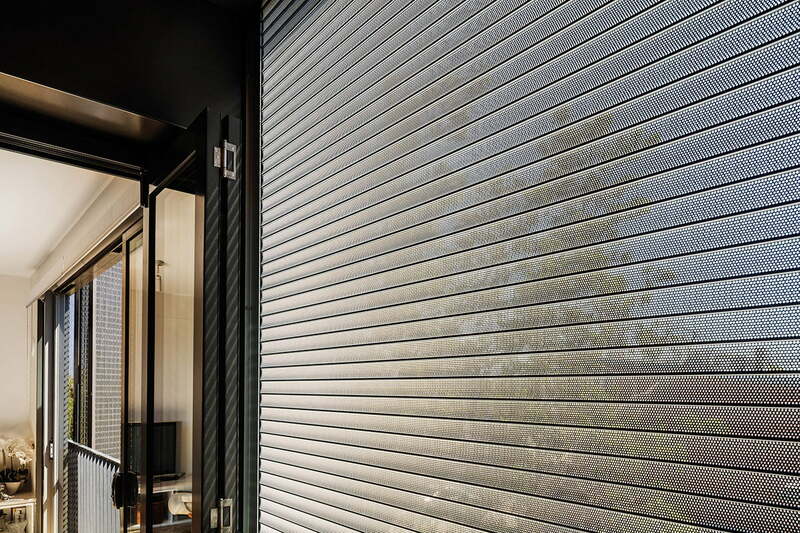 Innovative add-on opens like a fan towards sun drenched north-facing rear courtyard. A house / gallery defined by a curated circulation path past an extensive collection of books, artworks and artefacts, punctuated by iconic neighbourhood views. Reflecting our client’s fascination with Japanese culture, this house brings authenticity to a Japanese sensibility whilst acknowledging its Australian inner suburban context. Complementing substantial internal renovations, this hovering, custom laminated plywood pergola provides sun protection, weather protection and generous filtered day light. 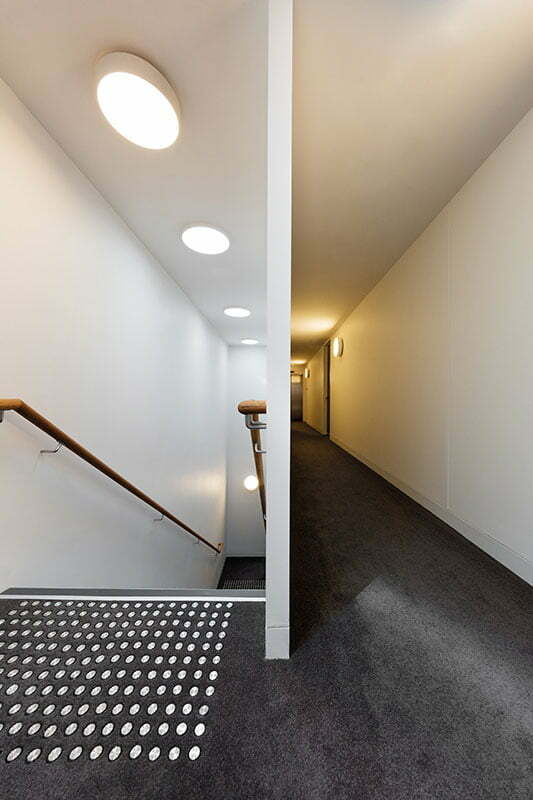 Like a pinwheel, the different spaces and rooms of the house connect off a centre point – giving the house not a room, but a hub. 7.5 star housing designs founded on research showing that the financial benefits of an environmentally friendly home now far outweigh the costs. Textures and colours evolved through discussions in the design process. The end result is a careful combination of finishes lining the new spaces. An affordable bushfire resistant home designed for those left homeless by the black Saturday bushfires in Kinglake and Marysville. 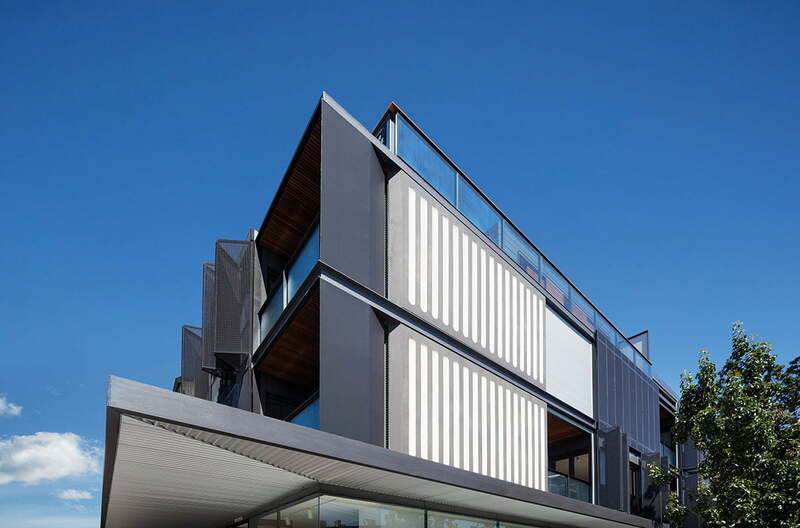 The addition to an inner-suburb terrace for a young family reflects the roof-forms and colours of its surroundings. 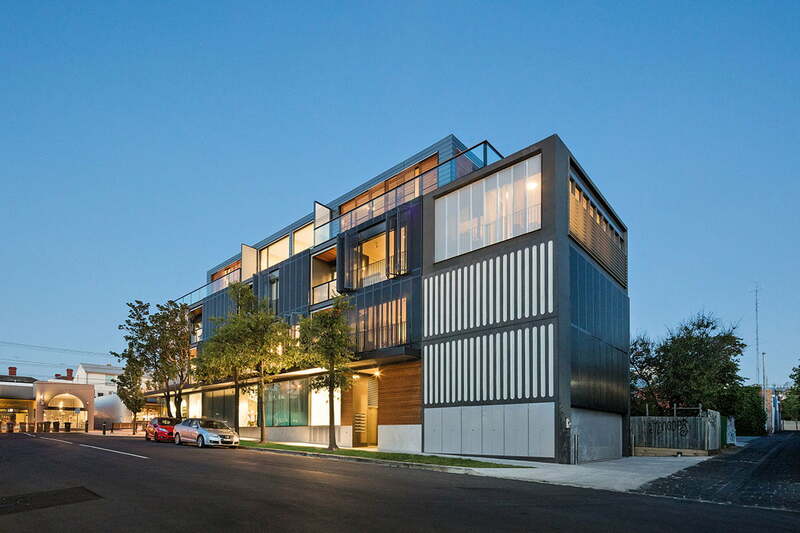 A clever response to a small site – accommodating a contemporary household by providing new amenity and flexibility. A backyard home/office and laundry/bathroom which allows connection with the life of the family to be maintained but with a degree of separation. An addition dynamically shaped to reduce shadow-loading on its adjacent neighbours and to reduce the felt-effects of building bulk. An extension, the form of which is conceived as a stylised lava flow of volume shaped by both internal spatial requirements and external forces. An extension conceived as an independent annexe to the existing house with its own distinct relationship to the yard at the rear. A multiple-extension to an existing house designed by Alistair Knox which includes garage space for four cars and an extension to the existing living area. Entered from the side, this extension is defined by three distinct prismatic forms, sculpted to suit the scale and functional requirements of the site. An interior fitout defined by a sculptural freestanding joinery unit which fulfils the functions of bedroom partition, kitchen pantry, refrigerator housing, wardrobe and bookshelf. 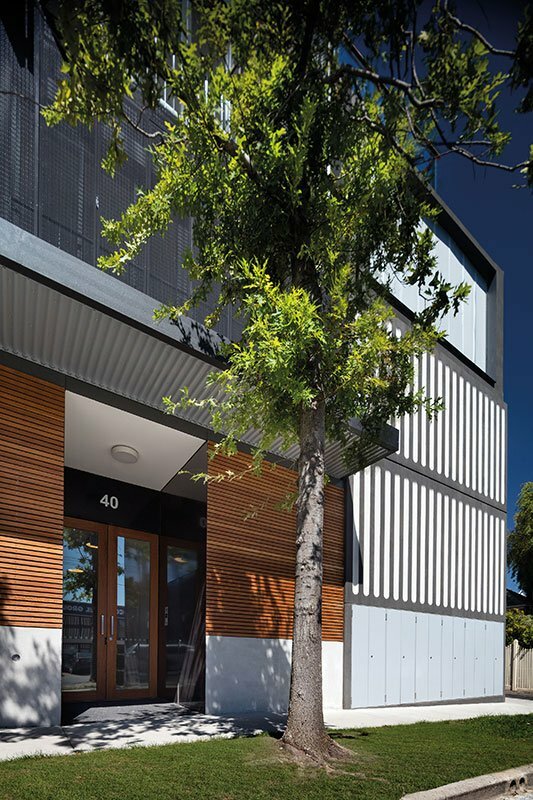 Part Fab: Quicksmart combines prefabricated and panelised components to improve the flexibility, affordability and amenity of the detached home. 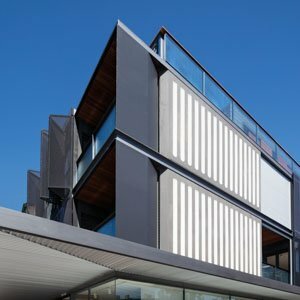 A high rise speculation on the Australian beach box, the Stacked Vactioner creates airy infrastructure for holidaying over Bondi Beach. reHousing is an international housing conference, exhibition and publication that examined the role of architects in housing design.